Skating Over Thin Ice by Jean Mills. 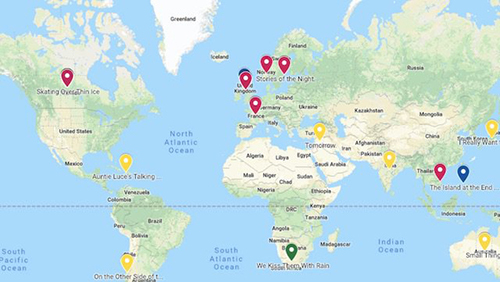 The United States Board on Books for Young People (USBBY) is a non-profit organization devoted to building bridges of international understanding through children's and young adult books; it serves as the U.S. national section of the International Board on Books for Young People (IBBY). After extensive reading and lots of discussion, the Ontario Library Association’s Best Bets committee has finalized their lists and prepared their Top Ten titles for each of their book categories. Best Bets looks exclusively at titles published in the past year that are either written or illustrated by a Canadian or someone living in Canada. The categories include Picture Books, Junior Fiction, Junior Non-Fiction, Young Adult Fiction and Young Adult Non-Fiction. The finalized list of winners and honourable mentions will be announced on Wednesday, January 30 at the 2019 OLA Super Conference. Looking for Canadian novels in verse for middle-graders or teens? Look no further than this updated booklist of titles by Canadian authors for young people. It's a very difficult genre in which to write and these authors do it so well! Click here to see the books on our site. The collection of books in From Sea to Sea to Sea: Celebrating Indigenous Picture Books was initiated in 2016 in response to the Truth and Reconciliation Commission’s Calls to Action and in keeping with IBBY Canada’s mission to support the right of every child to become a reader through access to high-quality books. All children should be able to walk into a library, classroom, or bookstore and see themselves and their lives reflected. Unfortunately, that is still not the case for many Indigenous children and youth across Canada. IBBY Canada hope that From Sea to Sea to Sea will promote the reading and sharing of books by Indigenous authors among Indigenous and non-Indigenous children and youth, their families, librarians, educators, and community members. The 2018 Governor General's History Awards winners were announced. 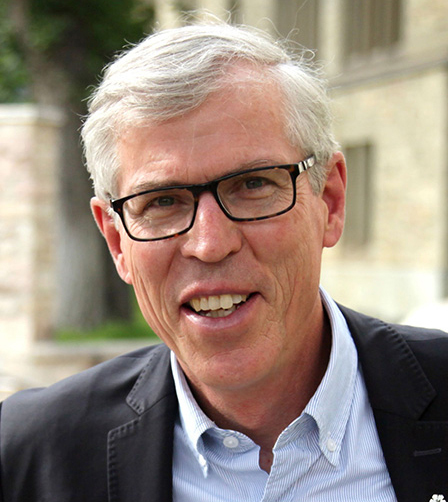 The winner of the The Pierre Berton Award for Excellence in Popular Media is our own Bill Waiser. 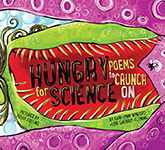 The list represents the best science trade books published in 2018 for students in kindergarten through 12th grade. The Lane Anderson Award is an annual award presented to Canadian non-fiction science in two categories; adult and young readers. Winners are selected based on a book's relevance to current events and on its ability to relate scientific issues to everyday life. Over on a Desert: Somewhere in the World, by Marianne Berkes; illustrated by Jill Dubin won in the Alphabet / Counting Book category. He’s Your Daddy: Ducklings, Joeys, Kits, and More, by Charline Profiri; illustrated by Andrea Gabriel was awarded Silver in the Non-Fiction Picture Book category. Paddle Perch Climb: Bird Feet Are Neat, Written and illustrated by Laurie Ellen Angus won in the Animals / Pets category. The latest issue of Quill & Quire Magazine has a feature article on one of the Canadian publisher we distribute, ChiZine Publications. Click here to see the article, titled Celebrate 10 years of ChiZine Publications. The Canadian Museum of Nature announced their 2018 Nature Inspiration Award Finalists. One of the finalists is a publisher we distribute, Inhabit Media. Click here to go to Inhabit Media's website. Click here to scan thorugh their books on our website. The 2018 Taste Canada Award winners were announced. Congratulations to Anne Innis Dagg, the recipient of Planet in Focus' 2018 Canadian Eco-Hero award! Anne was honoured at last night's screening of the film The Woman Who Loves Giraffes at the 19th Environmental Film Festival in Toronto. 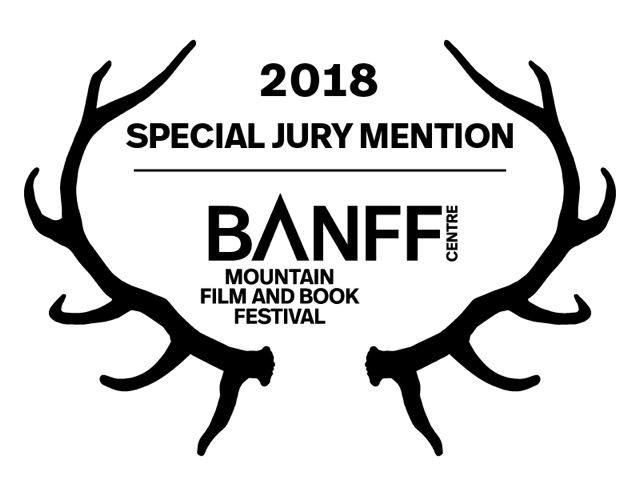 The Banff Centre Mountain Film and Book Festival showcases the best mountain culture films, photography and books. The Forest of Reading nominees are announced. Three of the nominees are either books we published or are published by publishers we distribute. The Hackmatack Children's Choice Book Award is a literary program designed for young readers in Atlantic Canada. Each year, thousands of children in grades four to six (aged nine to twelve) read from the selection of outstanding Canadian books and vote for their favourites. The award is designed after similar successful programs in Ontario (The Silver Birch Award) and British Columbia (The Red Cedar Award). Just as other provinces have chosen names of well-known trees in their regions for their reading programs, the name of the Hackmatack program comes from a tree commonly found in Atlantic Canada, also known as a tamarack or larch. The Lane Anderson Award honours the very best science writing in Canada today, both in the adult and young reader categories. The Royal Society of Canada announced their list of award winners for 2018. They have awarded 18 eminent Canadian scientists, scholars and researchers, recognizing their outstanding achievements in advancing knowledge and understanding of the past and present. The winner of the J.B. Tyrrell Medal for outstanding work in the field of the history of Canada is Bill Waiser. Waiser is a long-time author of our publishing house and was a winner of the 2016 Governor General’s Literary Awards in the Adult Non-Fiction category for A World We Have Lost. This is an important book about justice, race, and gender in Canada, themes that surface throughout the narrative. The book's relevance has only increased since it was published in 2016, particularly given recent controversies surrounding the National Inquiry into Missing and Murdered Indigenous Women and national conversations about Indigenous rights and the commemoration of Sir John A. McDonald. The Canadian Children’s Book Centre (CCBC) have announced the finalists for the 2018 Geoffrey Bilson Award for Historical Fiction for Young People. The Champlain Society have announced the winner of the 2017 Chalmers Award for Ontario History. The winner is Georgian Bay: Discovering A Unique North American Ecosystem, edited by Nick Eyles. Georgian Bay: Discovering A Unique North American Ecosystem, edited by Nick Eyles, takes the reader on a two billion year journey through geological time to reveal the complex and singular ecosystem that is often called the Sixth Great Lake. 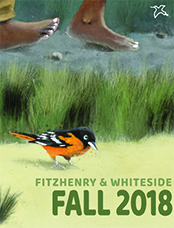 The book tells the story of the clash between water and rocks and the myriad ways that flora and fauna have adapted and flourished along the Bay’s windswept shores and its many thousands of offshore islands. Individual chapters focus on life on the land, in the air above and in the water beneath the wide-mouthed bay. Maps, charts, stunning photographs old and new, complement the clear-eyed prose. And then there are the stories of the peoples of the Bay with their varying histories, triumphs and failures. First Nations, traders and settlers all receive appropriate attention. Special regard is given to the colourful history of Collingwood, and the art of Georgian Bay before and after the Group of Seven's iconic work. In short, the book enriches our appreciation of the constantly interacting aquatic and terrestrial spaces that characterize this massive and monumental region of Ontario. 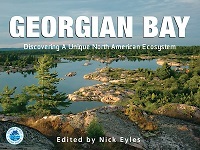 Congratulations to the Georgian Bay Land Trust who sponsored it and to editor Nick Eyles and all the contributors for a book which will delight scholars, general readers, and visitors as well as all those fortunate enough to live along the shores of the Bay".